A list of food preparation supplies for emergencies. 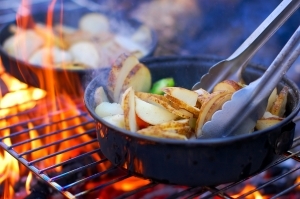 *If you elect to cook outside, cover food to guard against insects. Using lids will also expedite cooking and water boiling times which reduces fuel consumption.